A step by step guide for the global epidemic of stupidity! Published and on sale now! Slap Therapy: a step by step guide. The newest edition of Slap Therapy was published on 26th May 2013. 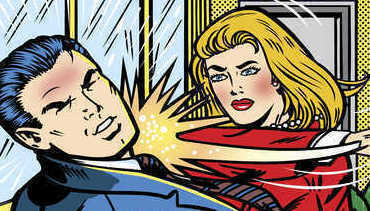 The whole concept of slap therapy started as a joke at work. It is the humourous ramblings of all the stuff we have in our head when we encounter stupidity (almost on a daily basis), but never say it out loud!